Blog > Uncategorized > Practicing, Sincerity, Awareness, and Passion! Practicing, Sincerity, Awareness, and Passion! Greetings folks! Today, I would like to talk about two important, yet, often overlooked aspects of music: awareness and intent. These two terms are rather vague, indeed, but encompass many aspects of music, and I would like to focus on what I believe to be the most important ones. Many people contact me asking for advice on what they should be practicing; I strongly feel that understanding these issues will inevitably help you determine what you should be working on, as a musician. To start with, my reasons for generally appreciating an artist, are usually different than most people’s: to me, it is the very subtle, yet important details that I notice, and that I really appreciate. The common qualities that I find in all the artist that I like are sincerity and passion. Granted, these terms can be quite subjective, but I tend to view sincerity as someone who follows his/her own path in music rather than following a particular trend. Don’t get me wrong, this does not mean that one shouldn’t try to emulate other artists, but rather, that one should strictly work on what one wants to achieve musically. There are many paths to achieve this, and the correct path is the one that you choose for yourself. Over time, the path may change as you evolve, but as long as you stay true to yourself, it will always be the correct path. That is what I would consider sincerity, and it is extremely important. To put this into context, many students of music are often wondering what they should be practicing. To some extent, that is a very valid question, and outside guidance can be very valuable; on the other hand, if someone tells you that you should be practicing X, Y, and Z, you should be also asking yourself: what is the purpose? What do I want to do with music? What is my goal? You see these questions all the time on music forums, and people will often reply with all sorts of varied and interesting advice (some not so good). In the end, however, what is it that you really want to do? My advice would change depending on who was asking the question. To a hobbyist who has very little time to practice, I would simply suggest learning songs; learning melodies; maybe a few basic licks and simple improvisation concepts. Being able to keep decent time would certainly be a priority. These are the things that would allow all players of all levels to be able to jam in an ensemble setting. After all, why is it that we play music in the first place? To play actual musicright? Well, for some, it is to be the fastest player in the world with little regard for actual music. Fair enough! For those people, the path is quite simple and mathematical. Unfortunately however, in order to achieve a high level of proficiency in anything, it requires a lot of personal effort and sacrifice. That means hours upon hours of dedicated practice. A hobbyist with limited practice time should, therefore, be realistic about what he/she can achieve. Since I come from a Gypsy Jazz/Django Reinhardt background, I personally wouldn’t ask a student to spend hours, working on all the subtle details of Gypsy Jazz rhythm playing, for instance. A basic but steady pulsing rhythm is good enough; of course, a decent sound would be nice too. I also have a lot of highly accomplished, professional musicians come to me for Gypsy Jazz advice. It is a somewhat similar situation; they already have an impressive musical background, and might not want to pursue this style all the way, but, somehow, combine their previous knowledge with Gypsy Jazz concepts. That is certainly valid. To these people, I would certainly show them as many details as possible, but let them figure out for themselves in which direction they would like to go. One of the deceptive practices and myths perpetuated by musical institutions is the idea that one should work on X, Y, and Z to be prepared for the professional musical world. From a non-classical point of view, many of these are absolute non-sense. Don’t get me wrong, I’m not necessarily against musical institutions, I think there are some advantages to going to a music school, but for now that topic is beyond the scope of this article. The problem (well, not necessarily a problem) with non-classical music, and especially improvised music, is that it is extremely vast; one might even say infinite. Here, we have a music school imposing a curriculum as to what one should be playing and learning, in order to become a well-rounded musician. That is as absurd as suggesting that there should be one and ONLY one way to live life (YIKES!!!). Well, I know that there are people out there who think this way, but, thankfully, these people don’t rule my life. The truth is that you will never be able to master every styles of music, or every aspect of your instrument; everyone has their specialty. There are a few a freaks of nature out there who are extremely versatile, but even then, they still haven’t mastered everything, and it’s certainly not by following a musical institution’s imposed curriculum that they achieved such a high level of versatility! Beware the teachers that advertise that they can teach all styles; technically, I, myself, can teach all styles. The truth is, however, that I would be learning at the same time as the student if I were teaching a style with which I was not familiar; the student would get more accurate information at a much faster rate if he/she went to someone that specialized in X style. Furthermore, many styles of music are more than just specific notes/chords/rhythms, there’s often an entire culture behind them. Being aware of said culture plays a big role in how to approach a style of music. That is why I specialize in Gypsy Jazz; people come to me specifically for Gypsy Jazz, and I don’t have to do any research (or very little anyway) if someone has a question about the style. It’s like hiring a lawyer, you hire a lawyer based on his/her area of expertise, and based on his/her reputation. Every lawyer can consult books (as they all do), but the ones we want are the ones that already have the knowledge on hand, or know exactly where to find it in as short a time as possible. In essence, that is what I mean by sincerity. It’s about always staying true to yourself, while keeping an open mind. You should certainly consider other people’s opinions, but don’t let them dictate your life! This is very important, as I feel that many people get lost in this because of the overwhelming amount of information that is available to us; in the end, it is as simple as following your gut instinct. Your first priority should always be to make yourself happy, by specifically working on the things that interest you. These things may change (possibly in drastically different directions) as you evolve as a musician, but as long as you continuously follow this path, there will be much less confusion as to what you should be working on. As an improvising musician, I respect a very wide range of musicians, but that does not mean that I passionately listen to every single one of them. That is fine by me. I cannot, for example, blaze through John Coltrane’s Giant Steps, simply because I did not invest the necessary amount of time and energy in order to do so. It is certainly fun to practice, but it is not my priority, and it has very little to do with what I am currently doing. This is important, because, someone who can blaze through Giant Steps, might have trouble doing the things that I specialize in. Up to a certain point, there are certain things that are worth working on and that is beneficial for every musician, but on the flip side, working on extremely difficult sets of changes does not mean that you will automatically sound better on easier sets of changes. That is simply not how it works. Bluegrass, for instance, is one of the most harmonically and rhythmically simple styles of music there is, but there is an entire culture and vocabulary behind it; working on Giant Steps will simply not make you a better improviser when playing bluegrass. Work on the things that you are passionate about! Passion. Some people call it playing "with feel". Many seem to possess a device that I would love to have. Apparently, this mystical device allows them to determine who plays "with feel", based on the number of guitar bends and facial expressions one makes. Those who play fast, have "no feel". Absurd, of course! Passion is also quite subjective, but to me, it is directly related to sincerity, intent, and awareness. When it comes to improvised music, I tend to believe that we all play like we are. As long as we remain sincere when we practice, we naturally gravitate towards the musician that we want to become. For the athlete "musician" whose sole interest is to become the world’s fastest player, I have no doubt that he/she (OK most likely he) is passionate about his/her goal. Whether others relate to it or not, does not matter. I have had the good fortune of getting to know and meet many of the world’s best musicians, and I am always fascinated to see a connection between an artist’s personality and his/her playing style. As in real life, there all sorts of people, and that is the beauty of it. We can’t all be best pals with one another, but as long as we are able to find some common level of tolerance and respect, it’s all good. On the other hand, we can also be pals with one another, but sometimes we can only take so much of each other. That’s fine as well. Music is exactly the same; you can’t please everyone, so worry only about making yourself musically happy, and work hard to be the best that you can be. That, to me, is real passion! I know that we are treading on very subjective territory here; I’m fully aware of it, but we can take things a bit further when we talk about playing with passion and feel: musical intent. Playing the right notes with the right timing is not enough to make good music, or else we wouldn’t need to learn to play instruments; we would all become MIDI programmers and listen to sampled instruments. You can also call it interpretation, and that is what make music come alive with passion. Everything that we do on our instruments should be intentional. The possibilities are endless! 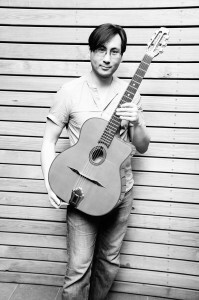 On an acoustic guitar alone, I can pick close to the bridge, close to the edge of the soundhole, close to the neck; I can palm-mute, making the notes ring, or make the notes legato; I can pick with a soft attack, a medium attack, or a hard attack; I can use open strings or closed positions; I can slide into a note, bend into a note, play a note with harmonics, use vibrato, etc. Any and every combination of these things is valid and should be intentional. I could go on and on, the possibilities are truly endless, and one should certainly try to explore as many different ways as possible to articulate the notes. These 5 rhythmic examples take into a account that the length of the phrase remains the same (4 beats), but already, so much can be done to alter the feel of a phrase, based on these 5 concepts alone. We can take it even further by displacing certain notes rhythmically to create syncopation; the possibilities then become endless. These rhythmic ideas are absolutely indispensable, yet, often overlooked. If there is one thing, any musician can benefit from, it’s working on timing. This is a great recording that demonstrates many of the concepts that I mentioned above. There is a lot of laid back playing, straight 8th notes, occasional swung 8th notes and even the dotted 8th + 16th note combination. There are short tones, long tones, a wide range of dynamics and attack, and wide palette of rhythmic variety. To me, this is the real passion and soul of music. Generally, the best kind of rhythmic feel, is the one that is either very precise, or laid back; this goes without saying that this only works if the rhythm section is good! Any combination of these two (again no rules) will greatly improve the way you sound. In my opinion, playing ahead of the beat rarely works, unless it is truly intentional. Guitarists with dexterity are often guilty of this; I am no exception. It’s something I constantly think about when I practice and perform. It is something that many players struggle with. The best players are often aware of this (sometimes even subconsciously) and it shows in their playing. This is precisely what I was referring to in my opening statement about my reasons for appreciating a particular artist. Many would often be impressed by the notes played, but I am instead impressed by the way they are played and at what precise moments they are being played. With regards to a rhythm section, there is much to say about awareness and intent. Once again, I remind you dear readers, that I come from a Gypsy Jazz background. If have ever been to a Gypsy Jazz festival, and listened to a jam session, it can appear to be chaotic; quite frankly, it often is. Jam sessions can certainly be fun. However, do not let jam sessions (of any style) convince you that this is just the way it is, and that it is the best way to learn. The more you participate in these kinds of jam sessions, the more it can influence you, in a bad way. For this reason, it is very important, once again, to be aware. If you are aware, you can jam as much as you want and come out of it musically unscathed! What does "aware" mean in this context? For starters, I would like to say that in 95.684% (I could be wrong by 1.9812%) of jam sessions in which I have personally participated, I have always had to adapt to other players. This happens because no one is really paying attention to what is exactly going on, everyone just blindly assumes that they are playing the same thing when they are definitely not. Many players walk into a jam session, thinking they know a particular song; indeed, they may do, but it may not be a similar version. The chord changes to songs are highly interpretative, and many songs have evolved in different ways. The chords all eventually follow a similar logic, but the paths to resolution can be widely different and conflicting. For instance, you go to any contemporary bass player, and ask him/her to accompany you on a rhythm changes form. Chances are the bass player will play the form that is most popular these days. However, today’s popular changes to the classic form are not what they used to be in the old days, and there are even a number variations. The same thing applies to the blues form; the changes that the vast majority of jazz players use today are not the same as they were in a different era. It’s certainly fun and good to learn as many songs as possible and then be able to go into a jam session and jam the night away, but, really, what does it mean to learn a song? Pull out a lead sheet, memorize the melody and chords? For many, yes. For me, no. That is why I think the jam session mentality, while fun, can also be a negative influence. When I play an actual show, the repertoire I select is carefully chosen, and each song is carefully researched; my band is therefore on the same musical page as me. Researching a song doesn’t mean you have to play it the way that it was originally intended, but it means that you have an idea of where it comes from. If it greatly differs than the way it is performed today, within your genre, it gives you the choice to interpret it in different ways. 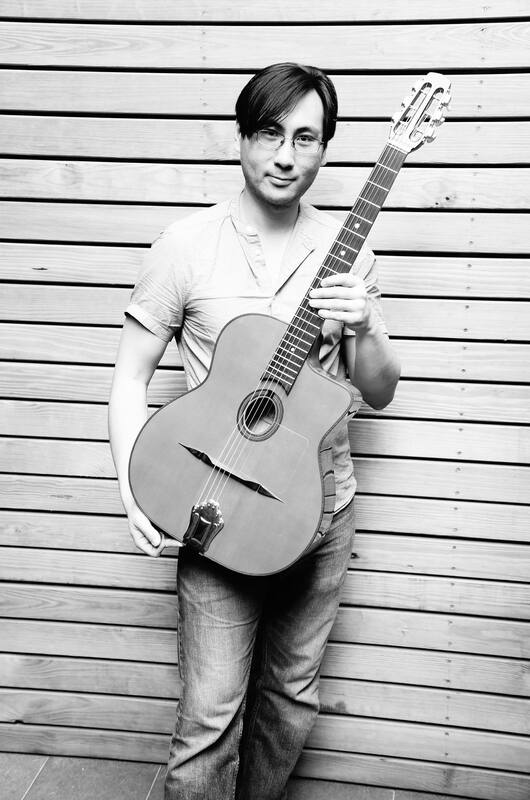 In Gypsy Jazz alone, many players play the "wrong" changes. This is another topic itself, and deserving of its own article, but playing the "wrong" changes has also become a tradition within the genre. In certain situations, I have played these changes as well (and on purpose), and, I’ll be honest, it can be fun; it’s one of the characteristics of Gypsy Jazz. Nonetheless, other times, I try to adapt the chords to the appropriate situation. As far as I am concerned, I especially adapt the chords to the melody when it is being played. When the improvisation part comes, I play simple chords so that the soloist has more melodic freedom. This is especially true on slower songs, where the chord duration is longer and, therefore, more audible. For instance, in the song Dinette by Django Reinhardt, in the A section, the V chord should be an Eb7b9, whereas many players play Eb9. This is because the melody is emphasizing the b9 of the chord. To play a regular 9 would then clash against the melody. In the song Belleville, again by Django Reinhardt, the chords for the melody are different than the chords for the soloing section. The soloing part is a variation on the rhythm changes progression. The chords for the melody section, on the other hand, follow the actual melody; for your information, there are two different popular ways to accompany the melody. In the song Daphne, at the end of the A section, there is a chromatic ascending pattern. Most players play G to Gm , but in actual fact, the chords should be G to G#dim7 in order to fit the melody. For soloing, I may revert back to Gm if I prefer soloing over those changes. In the song All Of Me, many players play F to F#dim7, when the original chords are F to Fm. Interestingly enough, however, both chord progressions fit the melody. It’s always fun witnessing a jam session with more than one rhythm guitar player and hearing both changes being played at the same time. Most of the time, the two or more rhythm players are completely oblivious to the clash. I always wonder if they’re even listening! While on the topic of All Of Me, the last II V I is not a regular II V I; The II chord is borrowed from the parallel minor tonality: Dm7b5. I’m aware of this, but I personally, still play a regular Dm7, like most jazz musicians. It’s just good to research, to pay attention, and to be aware. Another interesting point, is that the song is rather melancholic, and it’s funny to see it played as an upbeat, up-tempo swing in the Gypsy Jazz genre today. When Django Reinhardt recorded it, it was played as a medium/slowish swing, and the melancholy was still preserved. I’d like to think that Django Reinhardt had a very heightened sense of awareness; and that is the difference between Gypsy Jazz and the jazz that Django played. Don’t get me wrong (this must be the 5th time that I warn you, but I don’t want people to misconstrue me), I am not criticizing Gypsy Jazz; I really love it, but the difference between Django’s jazz and Gypsy Jazz is enormous. Once again, it’s definitely deserving of a whole article of its own. So here we are talking about changes, and which changes/voicings to use. That is one important aspect, and we must ask ourselves: "how should we interpret these changes?" The rhythm section is more than just a time keeping section, it can express a wide variety of moods in the way that the parts are executed. Just because a C6/9 is related to C, does not mean that it’s the right chord for the situation. This is extremely subjective, but when I play a particular voicing, it is because it is the one that I feel is best for the given situation; I won’t automatically use my comfort voicings just because they are the ones that I know. My choice of voicings depend on the song, the people that I am playing with, the style that I am trying to convey, etc. Everything is always fully intentional. There are so many ways to do things, and many things can be done within the same song. The important thing is to listen to what is going on, and to adapt accordingly. The timing issue is especially important. No one is ever 100% robotically metronomic. The timing does move, but it should move in a pleasant and subtle way. Again, another topic, deserving of its own article, but I will say that everything depends on the factors that I cited above: who you play with, what song you are playing, what style you are trying to evoke, etc. It’s also important to be aware of certain natural tendencies that we may have, that are in fact mistakes. For example, on a ballad, when playing a staccato and aggressive style of accompaniment, there is a strong tendency to want to accelerate. Therefore, you must be aware of this, and show restraint not to speed up. Or, when accompanying a bass solo on an up-tempo swing, most rhythm players will play as softly as possible. The tendency, then, is to slow down! You must always be aware at all times! Being a rhythm guitar player is more than just doing chunk chunk chunk chunk. There are many important details to which one must pay attention. The bass player is just as important. Unfortunately, most contemporary jazz players are only aware of playing walking bass with a long note feel. This is certainly a great way of doing things when the situation calls for it, but it is certainly NOT the only way. In my experience working with various contemporary bass players, their idea of playing swing, is to play two feel with long tones. It works for ballads, but for swing songs, it just totally kills the swing. Then there are some bass players who will try to do too much, adding all sorts of unnecessary effects, the same way a guitar player will try to use too many flourishes. These things can be fun if used in moderation (with a heavy emphasis on the word "moderation") but, by and large, are quite unnecessary. Again, the possibilities are endless. One song can make use of various feels depending on what is going on. The important thing in a rhythm section, is that all instruments of the rhythm section should be listening to each other, while also listening to what is going on in the lead section. The rhythm section needs to be on the same page, and they will influence each other in not only the color but also the timing. There is nothing worse than a stubborn player that thinks that his/her timing is the correct one. Sometimes it may be true, and it is also quite subjective, but if we are dealing with musicians of equal caliber, it should not about one leading all others, but about careful listening and finding a common meeting point. Therefore, a rhythm section is like a relationship, you need to find partners that are on the same page as you. Sometimes, some people don’t work well with each other even if they may be considered "good musicians" of equal caliber. That is fine, you’ll just have to look elsewhere. At any rate, while all this is happening, the rhythm section should also be listening to what the soloist is doing, and going in the same direction. It is a very organic process. So much can be said about awareness. It even extends beyond the actual music we are playing. For instance, tapping one’s foot when playing guitar can influence how you play. When tapping your foot, the tapping should be precise and locked in to the rhythm section. If your foot is wobbling out of time, it can potentially affect your timing. Granted, some people manage to have a wobbly foot and still play in time, but many cannot! I have also noticed people make very pronounced grimaces when they play difficult passages. Most of the time, I’ve witnessed this, the difficult passages were played sloppily. I urge people to be aware of all these things and more, and to take the time to work on things properly. Then again, one could also argue that those flaws are just how they are. Fair enough! In the end, as musicians, we choose who we play with. As a leader, I hire the musicians that I want to; these are the musicians that I feel can best interpret the music the way I envision it. Sometimes, it’s not always possible to have the musicians we want, in which case, we either refuse the gig, or we just tough it out! Last but not least, it goes without saying, but striving to improve your ears and memory is also indispensable. After all, can we say that we are fully aware if we cannot hear what we are playing or want to play? There is an international culture of chart readers among professional musicians today. I find this quite unfortunate. Don’t get me wrong (how many times have I said that now? ), reading can be a useful skill, but it should never replace our ears and our ability to memorize. In my encounters, however, that is, unfortunately, often the case. I find that so frustrating and sad. Our ears can always be trained, even without an instrument in our hands. Learn to a sing a song or a phrase in time and in tune. Try to figure out melodies you hear in your day to day life. Take any basic melody, a Christmas carol for instance, and figure out the notes in your head. If you don’t have perfect pitch, use a pitch pipe or a smartphone app to determine the key, or just pretend it’s in the key of C. Off the top of my head, "Frosty the snowman" in the key of C, starts on the note G, goes down to E, up to F, up to G, up to C, etc. These are very simple and diatonic melodies. If you cannot even hear these and figure these out quickly, can you say that your improvisations are truly "sincere"? This article is rather philosophical but I believe that if you strive to be aware of all these things, you can immediately use your current musical knowledge to take your music in better directions. One of the best things that you can do, is to make a live recording of your band. Listen back carefully and with critical ears; listen for all the things that I mentioned above, and ask yourself honestly: "is this exactly how I want it to sound?" If you don’t have a band, you can make your own one-man band, by overdubbing all the parts; use a bass guitar for the bass parts. Above all, play it like you mean it! Most important of all, however, just have fun; play what you want to play, and don’t worry about what other people think. to play without passion is inexcusable." "When I left out something in a passage, a note or a skip, which in many cases he wished to have specially emphasized, or struck a wrong key, he seldom said anything; yet when I was at fault with regard to the expression, the crescendi or matters of that kind, or in the character of the piece, he would grow angry. Mistakes of the other kind, he said, were due to chance; but these last resulted from want of knowledge, feeling, or attention. He himself often made mistakes of the first kind, even when playing in public." If you enjoyed this article, please have a look at my DC Music School website. Many of the lessons that I have produced take all of the concepts, discussed in this article, into account. Posted by Denis Chang on January 15, 2015 at 5:34 pm in Uncategorized.